During his college years at the University of Vermont, Jimmy pursued classes and work experiences that entrenched him in agriculture, food systems, and community development work. Jimmy spent a year as an AmeriCorps in rural Missouri where he launched an online farmers market and spearheaded garden-based education programming at local schools and low-income communities. Most recently, he worked as a volunteer organizer and development professional at a major social services nonprofit in Portland, Oregon. 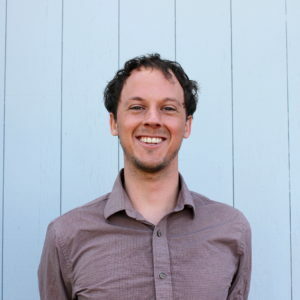 Jimmy is excited to take root in Maine and help strengthen farmer livelihood and fresh food access for all with his role as Director of Programs at MFFM. Emily is a life long New Englander who grew up visiting her local farmers’ market weekly and tending her own backyard flock of chickens. Her interest in agriculture and farm-to-table eating was evident even then, and her great enthusiasm for all things local has continued to grow ever since. Now she visits her local farmers’ market each week with her own family. She lives in Carmel where she and her family (and their backyard flock!) enjoy working on their homestead, with a focus on permaculture, towards their goal of food self-sufficiency. As Outreach Assistan, Emily works on a variety of Federation projects, including Maine Harvest Bucks technical assistance, consumer education, Maine Farmers’ Market Snapshot Week, and social media outreach. 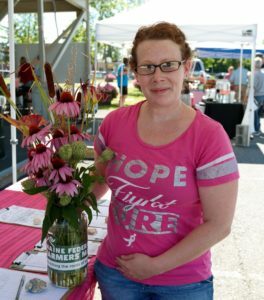 A full-time mom and gardener with a background in customer-service, Lindsay is excited to operate and manage the new information booth at the Presque Isle Farmers’ Market. Madison is a second year student at UMaine. She is studying sustainable agriculture. Madison just moved to Maine in 2016. She is helping her parents build a house and start a farm in a small town called Detroit. She plans on staying in Maine long after graduation. 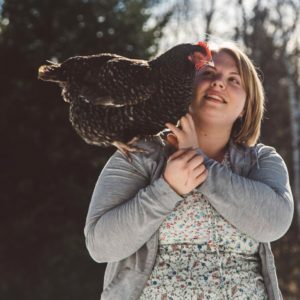 Originally from New Hampshire, Madison has always grown up in a farm and has always been interested in improving her local community through food. 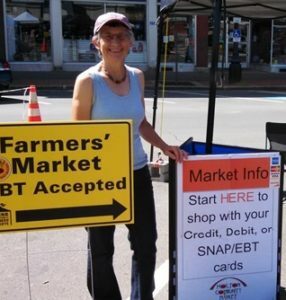 Marie has been with MFFM since 2016, in collaboration with the Southern Aroostook Soil & Water Conservation District, overseeing SNAP and Maine Harvest Bucks at the Houlton Community Market. Marie has a longstanding interest in health and wellness and a particular enthusiasm for growing, cooking and sharing nutritious food. Throughout her career, she has worn many hats in the wellness field, including personal care provider, health consultant, massage therapist, and natural food store staff person. 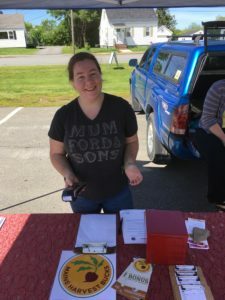 She appreciates the community she’s found in moving to Aroostook County and is excited to help expand access to healthy food via the Houlton Community Market.